interesting combination of visual history. This initial Confederate States flag was designed by a Prussian artist named Nicola Marschall. 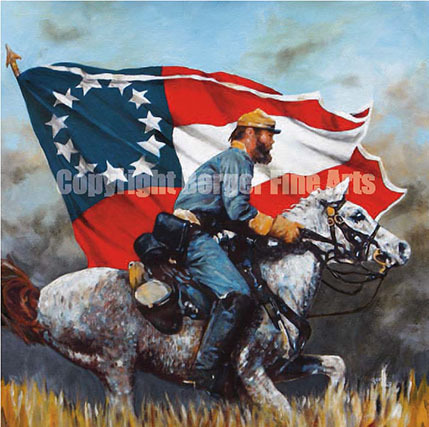 Mr. Marschall also designed the grey, yellow and blue color combinations of the confederate uniforms used by the armies of the south during the Civil War. Mr Marschall lived in Marion Alabama at the time of this design.